No matter the size or budget, estimating a project can be a daunting task. In order to create a workable estimate, you need to know your team, deliverables, tasks, and process like the back of your hand. You also have to be comfortable asking questions to figure out the things that you (and maybe even your potential client or customer) do not know. This chapter touches on best practices for creating project estimates and being prepared for when a change request eventually happens. 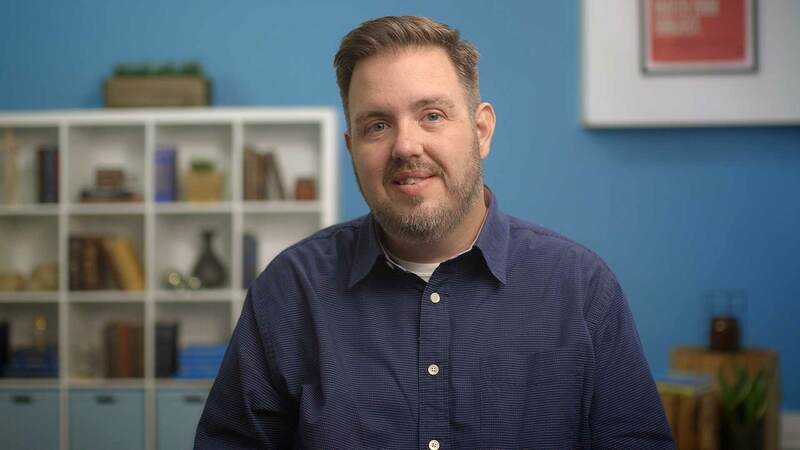 Get ready to learn a whole new set of dark arts, because you’re about to become the best project estimator in the business. Sometimes project managers are too focused on the numbers, and not the people. Good project management process—estimation techniques included—are built on solid relationships. Solid working relationships tend to make the estimation process easier, because the more you know about someone’s work and process, the easier it is to create estimates for their work. Want to be even better at estimating? Ask your team to be a part of the estimation process. A stronger understanding or collaboration with your team will help you to get your projects to come in closer to your project budgets. One of the biggest problems PMs face is having a solid understanding of what each team member does on a daily basis. But here’s the thing, to be a great project manager that can estimate budgets successfully, you MUST engage in the work. You can’t be a desk jockey. You have to dig into the work along with your team. Take the time to understand all of the things that will cause your project to go over budget. We’re talking about: the people, the budget, and the scope. If you keep track of these three things, you will be a better project estimator. One of the biggest problems project managers face is having a solid understanding of what each and every team member actually does on a daily basis. So, how are you supposed to understand Jim’s role on the team and how his work will impact an estimate? You have to talk to Jim. As a project manager, one of the best things you can do is be genuine and honest about what you don’t know. If you really want to know how or why someone does their job, just ask them! It might sound silly, but most project managers feel like they’re supposed to just know everything. You don’t, and that’s okay. Remember: it’s better to admit what you don’t know and ask your team questions. Doing so gives you an opportunity to connect with your team on an individual level, and it will help you to understand the inner workings of different types of projects—and their appropriate budgets. After all, figuring out the steps one person takes to create a deliverable will work wonders in helping you calculate a true and accurate project estimate. Once you’ve got a good grasp on who does what and how, you need to figure out how all of your project’s moving parts fit together—or could fit together. You may work for a company that abides by a singular process like agile, waterfall, etc. In that case, you should study that process, know all of your dependencies, and run with your estimates. If you work in a place that’s more liberal with process and likes to experiment, make it your mission to understand how things are done and what might happen if you shift things around. Do everything you can to understand your process, but don’t just read a book or a manual. Do everything you can to understand your process, but don’t just read a book or a manual. You can use the rigid methodology taught in books to start conversations about how your team employs a method. However, it’s important to talk to your team, ask questions about what you don’t know, and feel free to ask how, why, and when things are done. The more you know, the better you can strategize with your team or your clients to find alternate ways to make project estimates work and save on effort. Also related, always be sure to include your team in any discussions related to estimating projects and process. When estimating projects, talk about the process you might envision taking on. This will certainly impact how you think about effort and scope. You’d never want to sign on for a project that the team is not invested in. Always be sure to include your team in any discussions related to estimating projects and process. Approach your job as though it’s continuing education. No matter where you work, things will change. I work in the web industry, but I’d never sell myself as a web designer or a developer. That being said, I’ve learned enough about design and code over the course of my career to make me somewhat knowledgeable. I would never step into a project and say, "I’m the best resource to design or code this," but I know enough about how things are done to ask the right questions and make the proper assumptions about how they should or could be done. This helps immensely when estimating project work. I learned a lot of web skills early in my career and have had to stay on top of industry trends and major changes ever since. In addition to that, I had to learn a whole new set of people, processes, and clients every time I started a new job with a new company. A career in project management means you have to always stay on top of trends, changes, and deliverables in your industry. It isn’t easy, but it’s worth it because it will directly affect your success as a project manager. So how can you stay on top of things and become better at project estimation? A career in PM means you have to always stay on top of trends, changes, and deliverables in your industry. Without a doubt, historical data can help you with new projects; when history is documented, you can analyze the information to help you create better estimates. A great place to start is asking your team to track their time on tasks, which will give you a better sense for a project’s overall level of effort. It’s not about cracking the whip or playing big brother and hanging over someone’s shoulder—it’s being honest about the effort and being profitable at the same time. It goes without saying that every project is a unique snowflake! Project managers encounter tremendous variety in clients, communications, team members, technology, and more. Seeing how long your team spent on a certain task or deliverable will give you a sense for estimating a similar task on a new project. As project managers we tend to underestimate, thinking we’re doing our clients and our team a favor. But we’re not! Underestimating does everyone a disservice and causes stress when estimated budgets and timelines are not met. Check your tracked time and use it to create a realistic project estimate. If nothing else, review your project history to make sure you’re not habitually underestimating. TeamGantt Tip: Check out the project baseline feature in TeamGantt to check your actuals. You can mark your originally planned schedule, compare it against your actual work as the project progresses, and note where there might have been issues and how those issues might have impacted your level of effort. This will help you to determine if you should have estimated the project differently, if you had it to do over again. Whether you’re estimating a project based on a Request for Proposal (RFP), a discussion, or a brief written message, you need to know every possible detail of the project before you can provide a realistic estimate. This often means that you have to ask more questions. By asking questions, you'll be able to create an estimate based on what your clients need, not what you think they need. You can use our project management software to help estimate your RFP. Who will participate from the client side? What range of services does the project require? What is your client’s budget for the project? Is there technology involved? If yes, what is the technology? Does your client employ anyone with expertise on the topic? What is the timeline for the project, and will your client require your services after your work is complete? This list could go on and on depending on the level of information you’re provided. Be persistent and get the answers you need. And, if your client is not inclined to answer every question, take it as a sign. If it’s too much to answer a set of questions to help you form a good estimate now, will it be too much for them to be a good partner when the project is underway? Use your judgment in this respect. Not every estimate becomes a real project, so not every request needs to become a real estimate. One of the biggest culprits behind misestimated projects is the lack of pertinent information and background provided on would-be projects. If you think about a project, you can naturally break it down into phases, tasks, and subtasks. If you can map it all out and apply a time estimate to each element, you should be able to create a solid project estimate. There's a tool called the work breakdown structure (WBS) that makes it easy. A fixture in classic project management methodology and systems engineering, the work breakdown structure is a deliverable-oriented breakdown of a project into smaller components. A work breakdown structure is composed of a hierarchy of specific elements; an element may be a product, data, service, or any combination thereof. A WBS also provides the necessary framework for detailed cost estimating and guidance for schedule development and control. Creating a work breakdown structure for any plan helps you get granular about project tasks. Why use WBS for planning and estimation? Creating a work breakdown structure for any plan or set of tasks helps you get granular about the work that needs to be done on any given project. 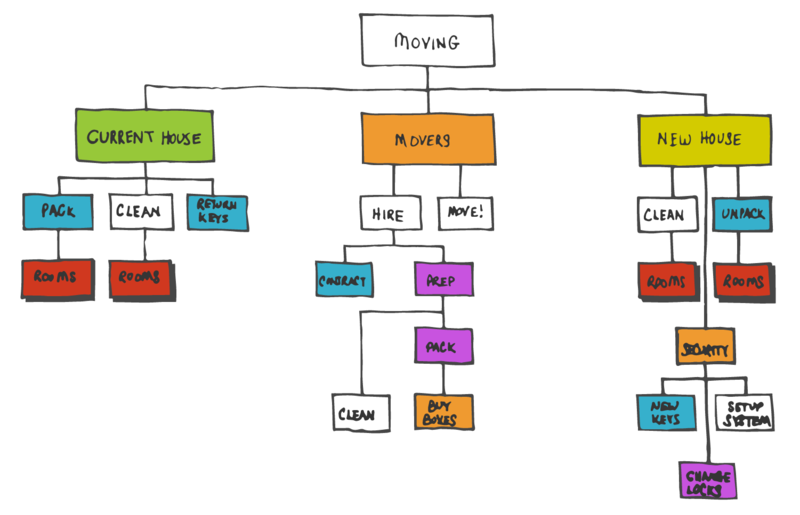 Below is a very basic WBS for a very common deliverable—moving to a new house! Check out the tasks and every aspect related to the event that the author has taken into consideration. Is anything missing? This type of exercise can be extremely helpful during the sales process when a client tells you they have X dollars to spend. Based on your estimates, you can easily map a set of tasks or deliverables to something that works for both the dollar amount and the client’s goals. And, if a potential client comes back and says, “Well that seems a little more than we want to spend,” you can lean on your work breakdown structure to negotiate the cost down based on what's included in your scope. For instance, if I had to cut down the cost/time on moving based on my hours, I could likely remove the “cleaning” step from my “moving” WBS (though I’m sure someone might be unhappy about that). Use the WBS to your advantage this way, and you'll not only create a project estimate that maps to a specific budget, you’ll work out a solid set of project requirements. Using these estimation techniques as a foundation for your project will help you with the next step: turning it into a project plan. We’ll discuss project planning more in the next chapter. Another easy way to estimate a project and hourly allocate resources is to use one of your favorite planning tools. TeamGantt makes it easy to set up a potential project. In fact, it gives you a more formalized way to list out your work breakdown structure and assign tasks and timelines to your team. You can create those timelines based on effort and assign resources (or people) within an online gantt chart. 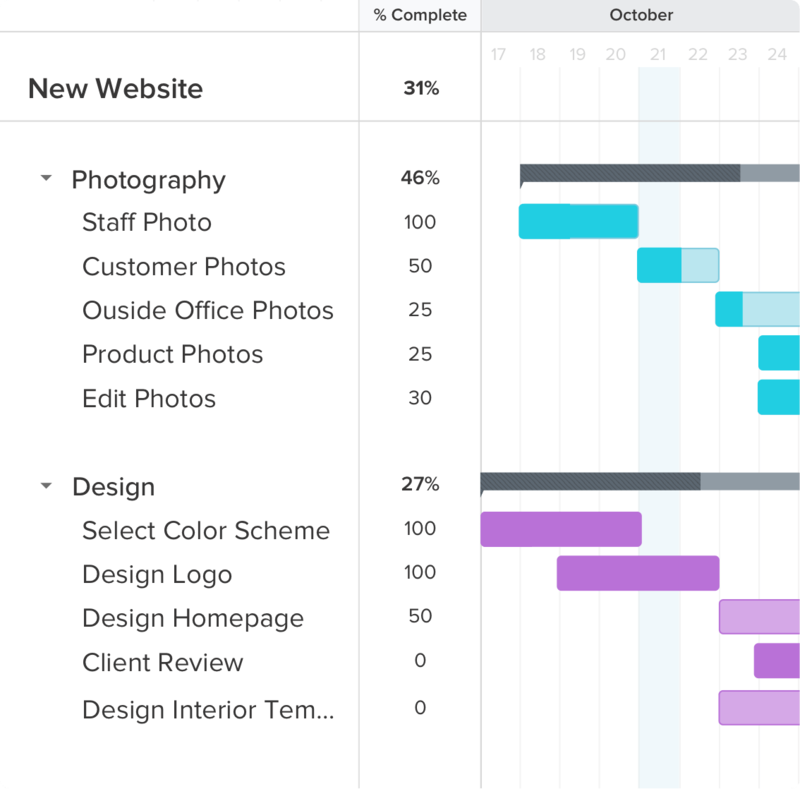 From there, you can schedule people against other project work. Learn more about Team Gantt. Are you ready to dig in and estimate a project of your own? Try out a test run: make up a project of your own and list out all of the steps that need to go into completing it. Run it by one of your team members and see what they think. Did you miss anything? Did you underestimate the hours? Doing a test run will get you ready for your first real estimate, or hone your skills for your next one. You’ll find that there is no right or wrong way to create an estimate. Your own dark art of estimating projects will include a mixture of project knowledge, historical review, client inquisition, and a ton of gut instinct. Use TeamGantt's free project management software to get started.